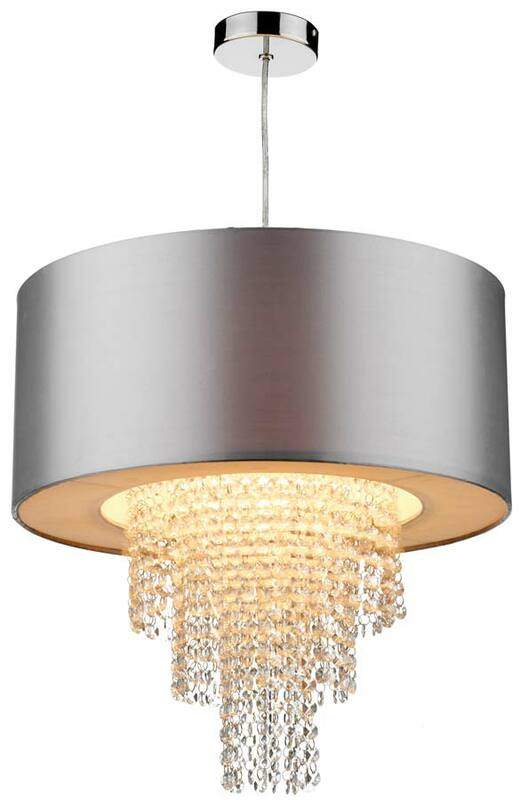 A modern easy fit silver faux silk ceiling pendant drum lamp shade, with an array of sparkling tiered acrylic beads hanging beneath. This is a non electrical pendant which means that you are able to use your existing lamp holder if desired. Our illustration shows the shade using a clear flex and chrome pendant lamp holder that can be found by following this link. 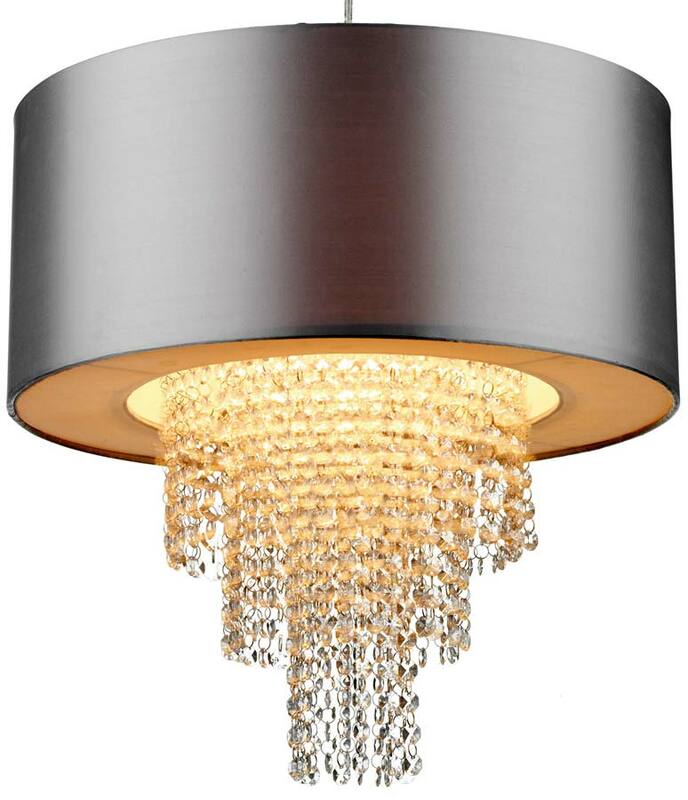 Other products in the Lopez range can be found below and include a contrasting gold coloured pendant shade.